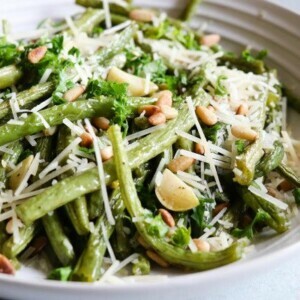 Here’s a recipe for Roasted Green Beans with Lemon, Pine Nuts and Parmigiano. 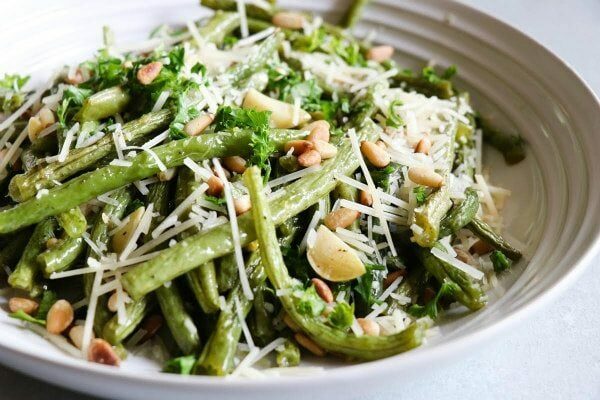 It’s a recipe for green beans that you must try! This is a terrific side dish to meats. 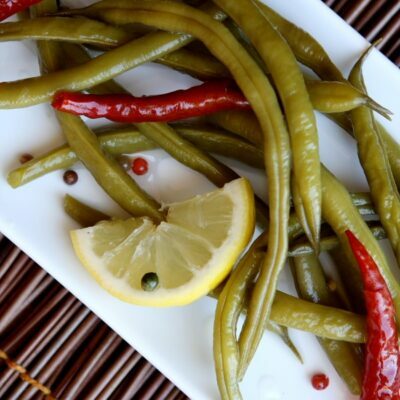 Roasting the green beans with the lemon brings out a wonderful flavor. 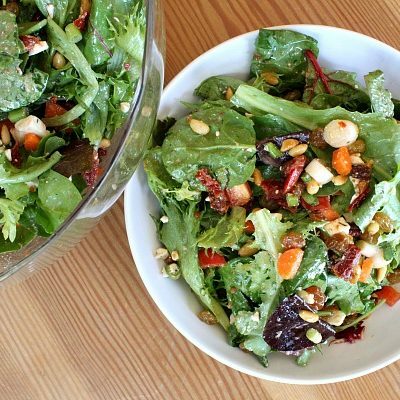 If you’re always looking for something a little different to make for a side dish, then this is it! I buy green beans at the store quite often, but I always end up steaming them. Boring! These are a million times more interesting, and they’re so delicious. I could seriously make a meal out of these green beans. 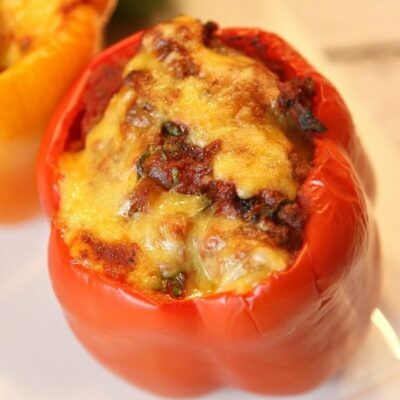 But if you must… add a steak and some rice or potatoes, and this will be a fantastic meal for you! Put beans in large mixing bowl. Peel garlic and quarter each clove lengthwise. Add garlic to green beans. Toss together with 1/4 cup of olive oil, 1 tablespoon lemon zest, salt and pepper. Spread beans on a rimmed baking sheet and roast on the middle rack of the oven for 10 minutes. Give the beans a stir. Continue roasting until the beans and garlic pieces are lightly browned and tender throughout, 10 to 15 minutes longer. Meanwhile, toast the pine nuts in a small pan. Heat the pan and toast them dry over low heat, stirring constantly until they begin to brown lightly and give off that toasted nut scent. Transfer the beans to a small serving platter or shallow bowl; add lemon juice and the remaining 1 tablespoon olive oil. Toss gently to coat and season to taste with additional salt and pepper. 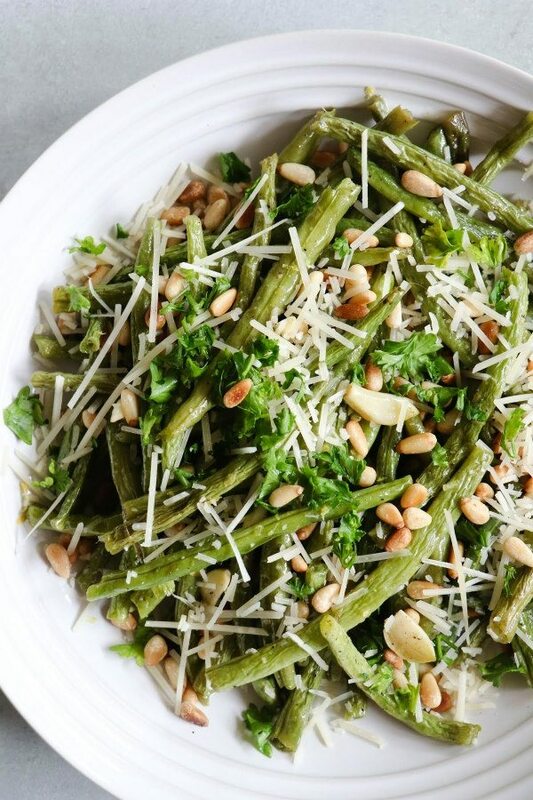 Sprinkle on the toasted pine nuts, the remaining 1/2 tablespoon lemon zest, the Parmigiano, and the parsley. Serve hot or at room temperature.